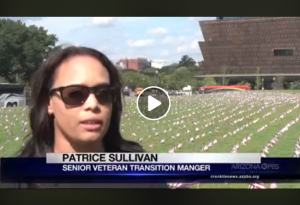 On Wednesday, IAVA veterans, volunteers, and allies planted 5,520 American flags on the National Mall in Washington, DC today to represent the number of veteran and military suicides in 2018. It was a powerful statement that brought many to tears. Our innovative advocacy forced all of America to stop and take notice. And despite all the madness in Washington, we captured national attention–and tremendous national media exposure. And it was supported by tens of thousands online via Twitter, Facebook and more. 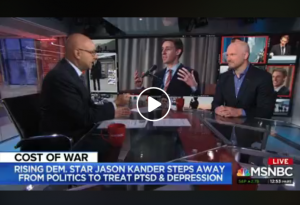 We focused the nation’s attention on veteran and military suicide, opening up a wider discussion about access to mental health and suicide prevention services and how communities and everyday Americans can get involved. All total, this week IAVA reached over 50 million Americans (and several million others abroad) this week through traditional news media and another 25 million on social media. See more photos and videos from this powerful #VetTogether activation here. 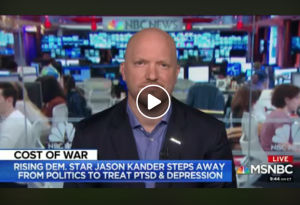 And learn more about IAVA’s “Campaign to Combat Suicide” and all our Big 6 Priorities for 2018 here.